All devices. All technologies. Expert care. 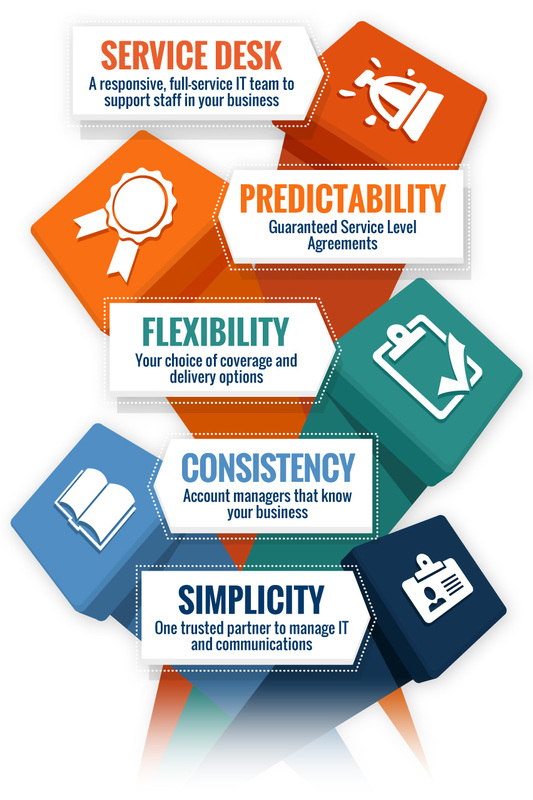 One trusted partner to make IT and communications systems work for your business. When you or your staff need to use business applications, computers, communication systems or mobile devices you just want them to work reliably. If it needs particular software, security or upgrades for protection you just expect that will happen. Without you having to ask for it or even to know what to ask for. If technology does cause a problem you need help to resolve it. Without question. Without delay. Because until it’s fixed your team cannot get on with business delivery.